No, not anything from the plumbing department. You need Buytl, Butadiene, or Polypropylene O-rings for Glycol based fluids. I took apart the valve a second time and there are only THREE o-rings on it. I took a picture the first time it pooped out (which I forgot I took) and there appears to be FOUR in the picture. I will try to figure out how to post and get your opinion. It would make sense that an o-rings goes on each side of the slide area for the switch to prevent pressure. Another baffling issue on how I lost a tight fitting o-ring (if that is truly the case). 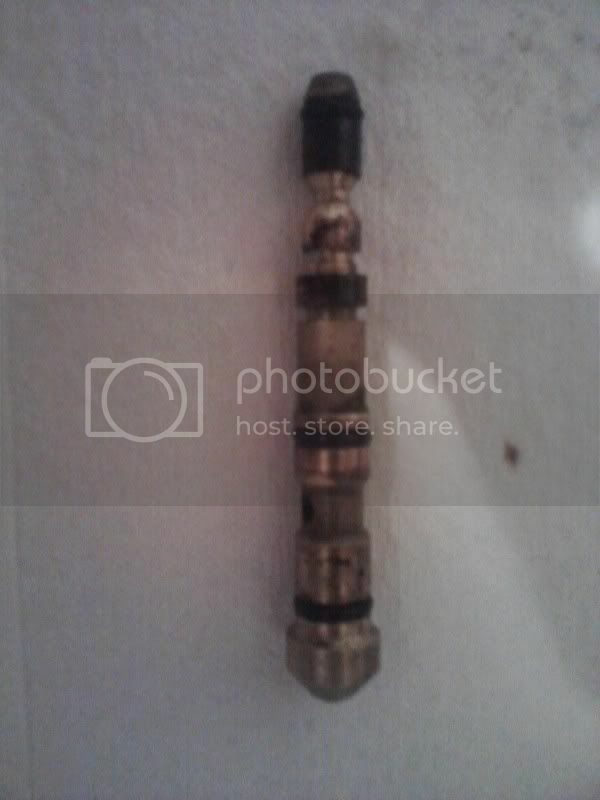 These are the two shots of the valve rod. The first shows four o-rings and the second only shows three o-rings. Not sure at all what happened to the third o-ring but I'm sure that will solve my problem. Just check to make sure it didn't roll off and get packed up inside the valve body. UPDATE: I got a new o-ring and got the rod re-installed. I learned a trick that I had to pry the valve rod in by using a pick to align the valley once it was already seated on the backside. I didn't realize that the rod separated from itself and expanded even further. But, once I got that all taken care of and reinstalled, I was able to get the system back up and running! Start a new thread, this one is about brake parts. ... you can have good brakes if you want to delete it. It will be reverting it back to 60's and earlier era brakes that didn't have a valve. There are many very late 80's/early 90's pickups running with straight brake lines(including my 89), because Ford came out with a "better idea" and installed a rear anti-lock system(they didn't have a proportioning valve like yours) Like your system, it works well when it was new, but now it's old, it's very expensive and hard to find parts for, so you do what you have to, to get a truck you can use. 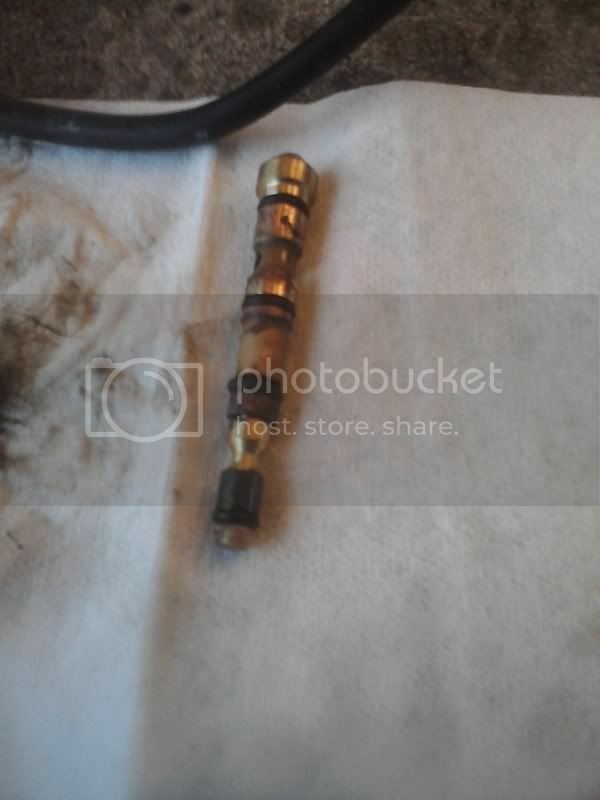 Hopefully not too off topic, but if one were to do away with an irreparable proportioning valve, what might the sizes/thread pitch of the brake line fittings be? Quick Reply: FAQ - Help! Proportioning Valve Issue?